Some really impressive scores today, yielding some really interesting information. The question was/is, should I step down or jump down (you could also step down to use the rebound but for simplicity sake, jumping down means you are using the stretch-shortening cycle to rebound right back up and step down means you are not). If you have the rhythm of the rebound box jump, it is faster. For that reason a lot of people think/thought that was the way to go (myself included). But the issue is (with the standard of having to open your hips and knees at the top), is it "faster" enough. Meaning is the difference in time you'd gain worth the increased energy expenditure of the rebound box jump? For most people, it looks like no. A good analogy brought up today was the rower. 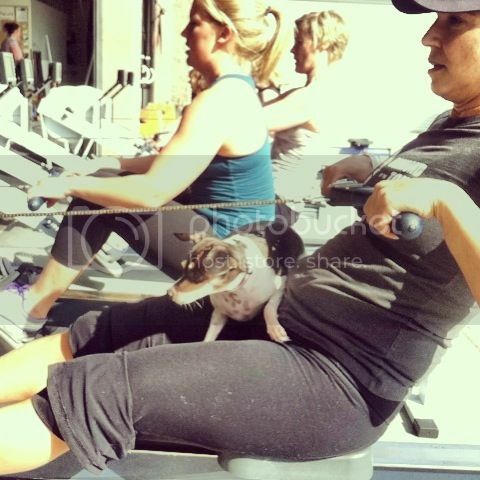 Everyone knows hows much energy it takes to increase your row pace, and how much energy you can save by taking your foot off the peddle a little (Jackie and Christine). The same idea seems to apply to 13.2, giving a little time (it's not much) by stepping down, conserves exponentially more energy, allowing you to sustain a faster pace. Like we said, this applies to most people. If you have the capacity to sustain a pace using the rebound box jump, it has to be used, because like we said earlier, it's faster. But if you're someone who's average round time slows down significantly using the rebound box jump, stepping down is most likely the best option. Every strategy is relative.